"Himawari ~Sono 1~" and "Mysterious Painting." 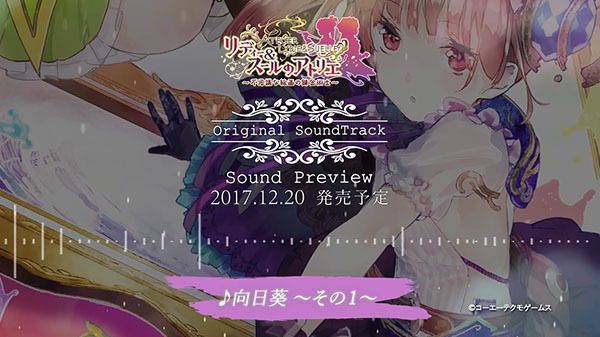 Gust has released the first in a series of original soundtrack sample videos for Atelier Lydie & Suelle: The Alchemists and the Mysterious Paintings. Atelier Lydie & Suelle: The Alchemists and the Mysterious Paintings is due out for PlayStation 4, Switch, and PS Vita in Japan on December 21, and for PlayStation 4, Switch, and PC via Steam in North America and Europe in early 2018.